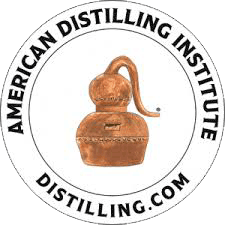 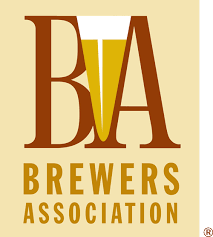 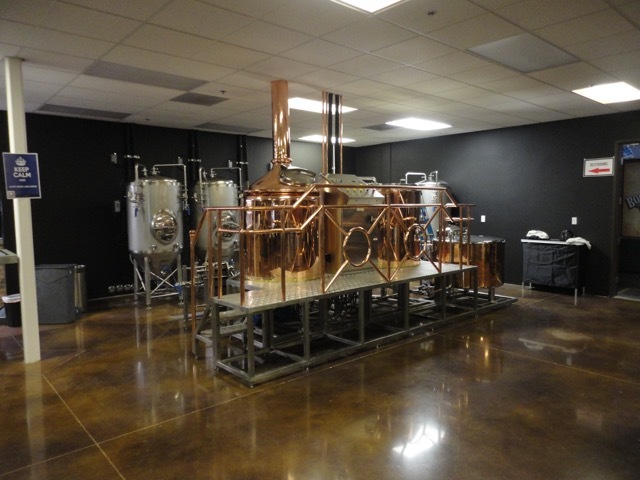 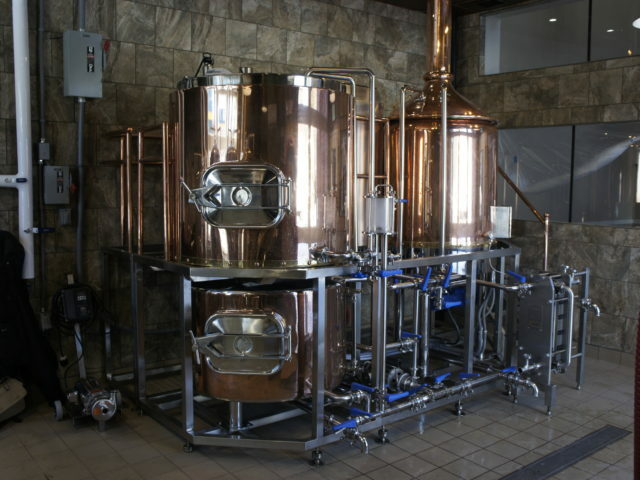 ABT offers our 3.5 barrel brewhouse with either solid copper brewhouse vessels or polished stainless steel. 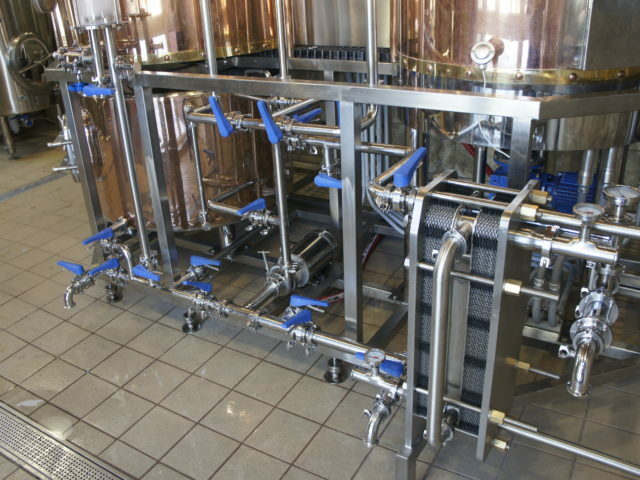 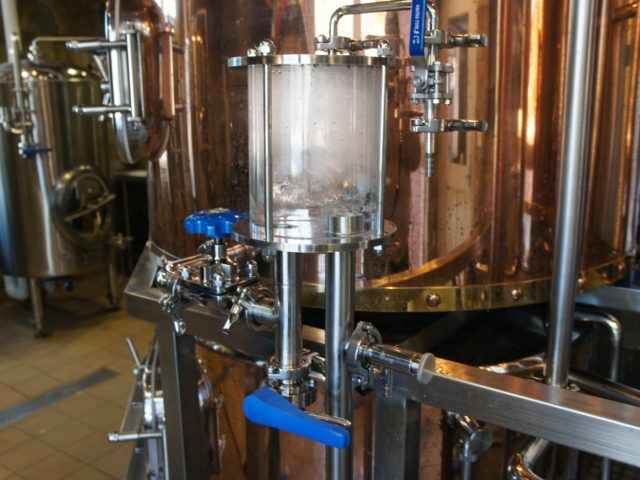 This skid-mounted brewhouse is pre-plumbed in stainless steel hard piping for quick and easy installation. 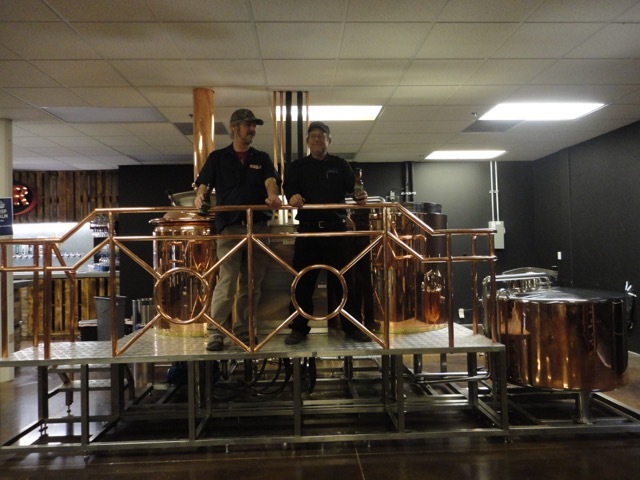 Morrisville State College installed this all-copper 3.5 barrel electric system to start up their new Brewing Science and Technology program. 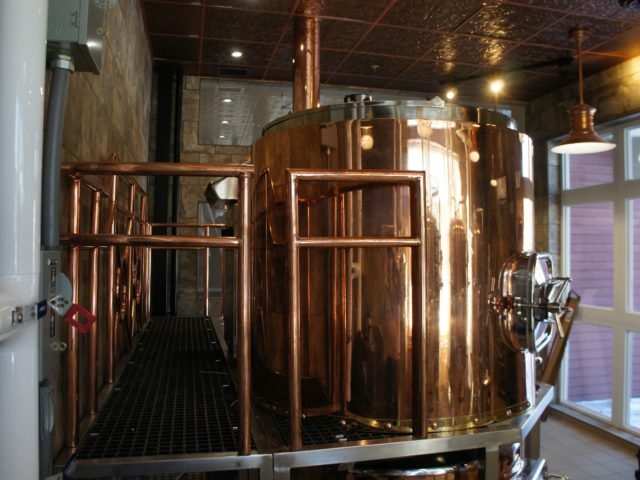 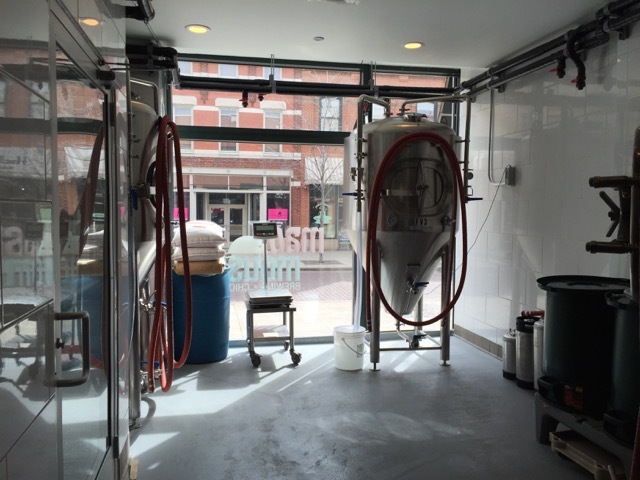 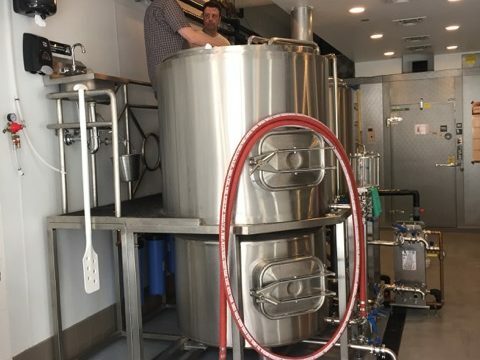 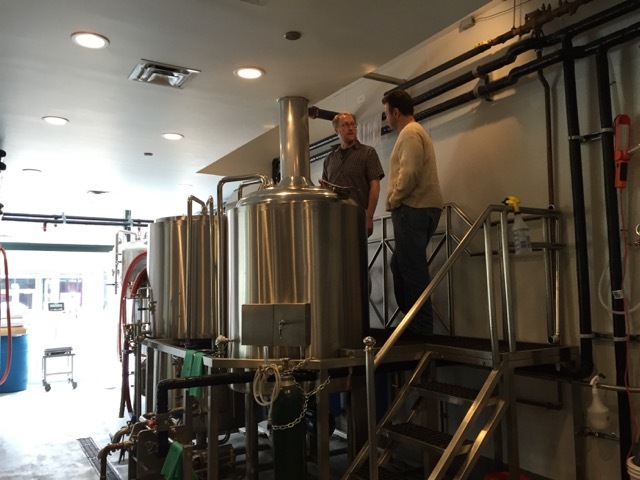 The brewhouse was installed in a restaurant that was partnering with the college, so it had to look good. 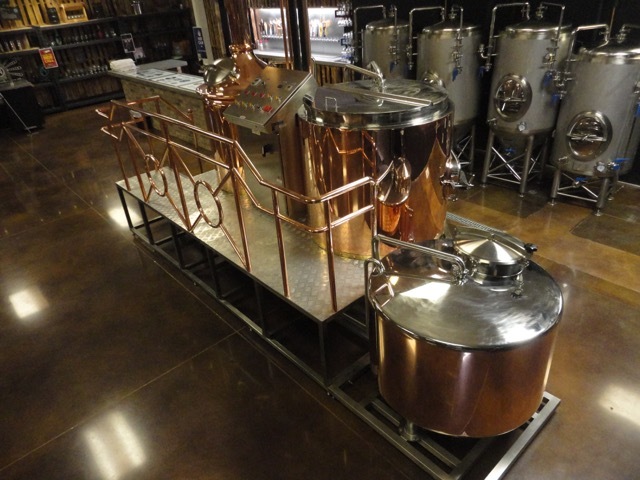 The copper vessels are accompanied by a brew platform with attractive copper railings. 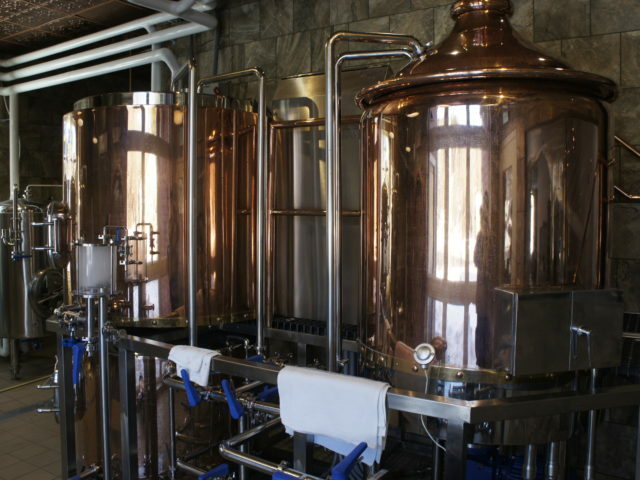 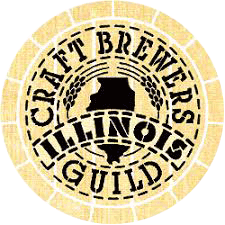 The system has many of the components of a larger brewhouse, so students are ready for their first brewing jobs. 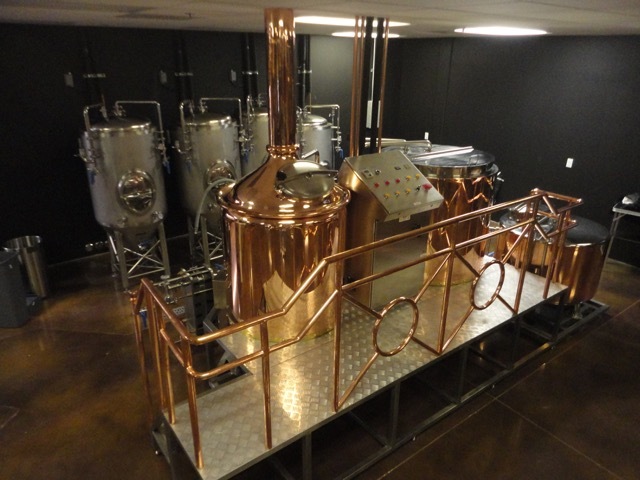 The brewhouse is skid mounted for smooth installation and a compact footprint. 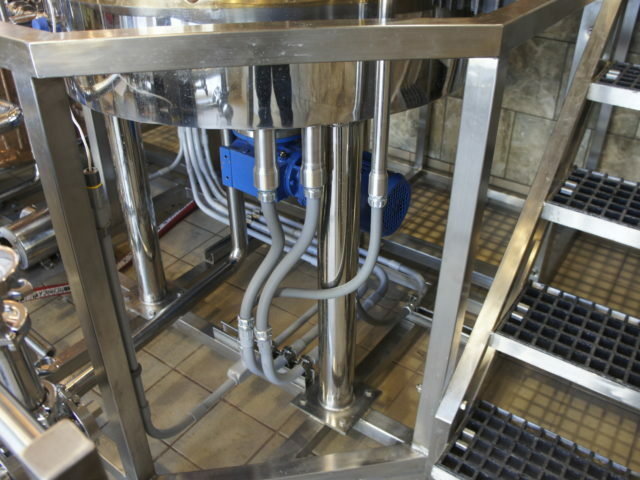 Skid mounting keeps all the plumbing and electrical out of the way under the vessels and platform. 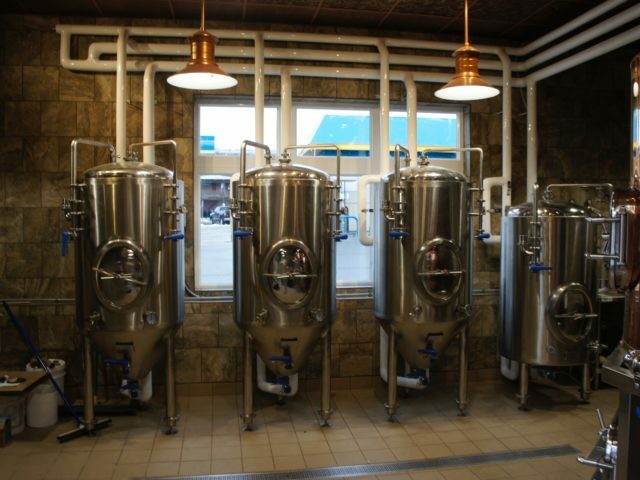 Fermenters and brites are sized for the system's brewing schedule.